Having a child is a huge feat for anyone. You deserve the right to celebrate not only your child’s birth but also the fact that you have done an excellent job raising your little one. However, when simple birthday party plans turn epic, you start to think that your house is never going to be the same again. Once it’s all over, you might find yourself missing the opportunity to actually celebrate what should be a joyous event for you as the parent. You can avoid all this if you know how to wing a party and keep it stress-free. If you want to take the stress out of a kid’s party, don’t have it at home or outdoors. There are so many factors to consider when you have a party at home. Will the children be entertained enough? Will your children be upset if some of their precious items are played with/broken? Will people stay longer than anticipated? It’s enough to give anyone a headache. Birthday parties outdoors can be even more complicated! From transporting food, tables and chairs to factoring in the possibility of wind, rain, heat and cold, there is so much to juggle. That’s not to mention the fact that your favourite BBQ spot could be taken when you arrive at the local park! Consider a stress-free party package at a play centre where all the work is done for you. While RSVP dates are a great idea, they can often be overlooked or ignored. This leaves you organising a party without knowing the exact number before the day. Not knowing numbers means you can’t account for how many slices of cake you need or how many party bags should be provided. Nobody wants to be up until midnight the night before a birthday party packing extra party bags! Chase anyone up who hasn’t responded soon after the RSVP date to avoid this from happening. 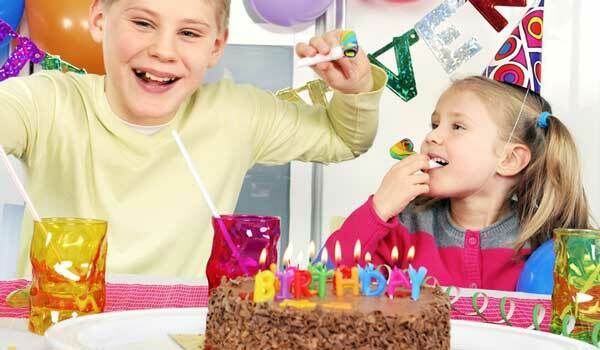 Younger siblings of school or kindergarten friends can be add-ons to a birthday party that you weren’t expecting. It’s far easier to be clear on whether siblings are able to join the party in the invitation to ensure they aren’t an unexpected surprise. When times get busy, your best bet to being stress-free is to outsource. Don’t have time to make that cake? Don’t feel bad about getting someone to do it for you. Crafting not your thing? Take your little one to the shops and get them to choose their own invitations – handmade is not essential. In the end, the memories will be made regardless and the main thing is that you’re smiling in them and not feeling rundown and tired! Thinking of booking a kids party? We are a great indoor play centre and can give you and your children a most memorable experience. Call us on 02 9525-8885 or enquire online and our staff will contact you directly. We also have a page of frequently asked questions you can check out. 12.02.17 5 Tips for Awesome Kids Party Food! RULES: SOCKS MUST BE WORN IN PLAY AREA AT ALL TIMES. NO OUTSIDE FOOD OR DRINKS PERMITTED! © 2016 Copyright THE PLAY CAVE. All rights reserved.